Our wedding dress steaming service makes sure that you and all your bridal party are looking sharp on your wedding day! 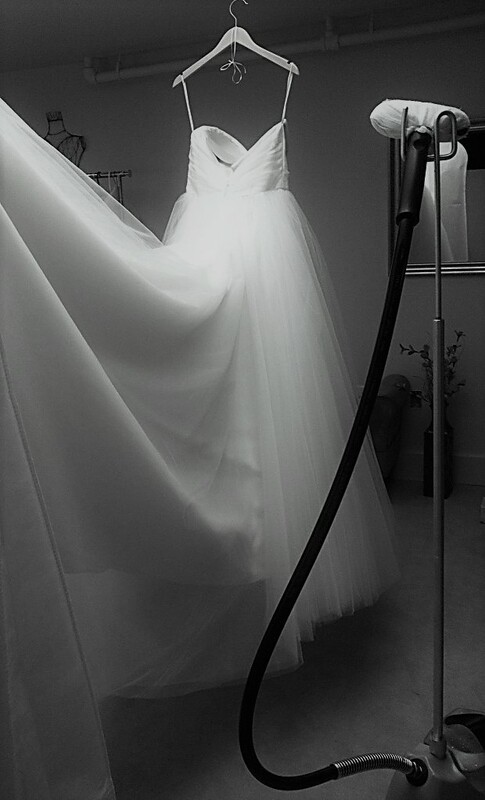 Whether you have had your dress altered with us or not, you are welcome to make the most of our steaming service. Most girls like to collect their dresses after they have been steamed on the day before wedding – however you can arrange this service for any time you like in the run up to the wedding. So if you would just like that extra bit of piece of mind that your dress will be looking perfect on the day, or you are visiting Wicklow from further afield for your wedding, feel free to drop your dress into us for steaming prior to the big day! We also offer a dress delivery service to give you one less job to take care of on the run up to the wedding!